Published in Auto No-Fault Insurance / Michigan Auto Law / Michigan Court of Appeals / Michigan No-Fault Act / Michigan Supreme Court. There’s nothing that rattles a lawyer’s nerves like an impending statute of limitations deadline. And there aren’t many statutes of limitations that come sooner than one year. It’s no wonder, then, that lawyers who handle no-fault cases frequently find themselves a bit jittery due to the one-year notice rule and/or the one-year back rule. No-fault PIP claims are subject to two rules of one year. The first is often called the one-year notice rule. This rule requires that notice of a PIP claim be provided to an insurer within one year of the accident. The second is often called the one-year back rule. 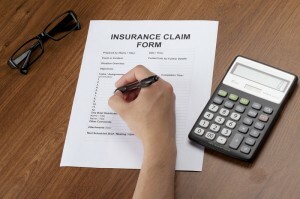 This rule says that a claimant cannot recover benefits beyond one year from the date of filing a lawsuit. See MCL 500.3145(1). Of the two rules, it’s the one-year notice rule that can be most terrifying. That’s because failure to provide timely notice permanently bars the claimant from receiving PIP benefits. In other words, you haven’t lost just one year of benefits, but, rather a lifetime’s worth of benefits. On March 21, 2016, believers in the so-called “payment” exception were vindicated when Michigan Supreme rendered its decision in Jesperson v ACIA, ___ Mich. ___ (2016). Here, the plaintiff was injured in a car accident on May 12, 2009. Yet the accident was not reported to ACIA until June 2, 2010, more than one year later. Nevertheless, on July 23, 2010, ACIA began paying PIP benefits. ACIA then terminated no-fault benefits, and the plaintiff sued. The trial court granted ACIA’s motion for summary disposition, and the court of appeals affirmed. The court of appeals held that something—either notice or payment of PIP benefits—had to happen within the first year. Since neither occurred, the court of appeals held the claim was barred. So there you have it, practitioners. Take a deep breath. Sometimes, it’s not as bad as you think.